Courtesy of the Pacific Northwest Ski Areas Association– On the heels of another great season in 2017-2018 PNSAA resorts have had a busy off-season preparing for the upcoming winter including new lift installations, expanded snowmaking systems, ‘tuning up’ ski lifts, new and remodeled lodges, summer brush cutting/grooming on runs, new rental equipment and creating a compelling array of learning programs. Following are highlights of what’s new at the region’s resorts for the 2018-2019 season. Anthony Lakes Mountain Resort: purchased a historic building in downtown Baker City, Oregon for its main office and The Trailhead, a new outdoor recreation information hub complete with a full-service bike and ski shop. The Gear Exchange at the Trailhead offers a space to sell quality used ski and snowboard equipment. 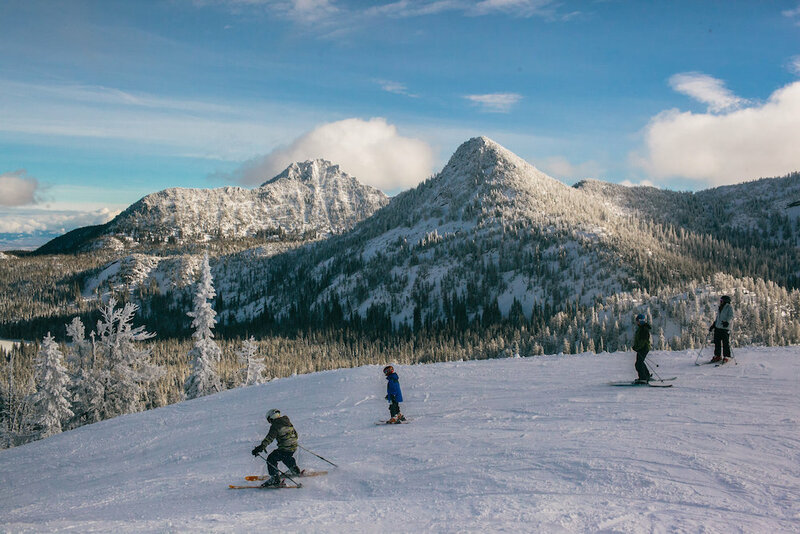 Mt Ashland: improved and expanded glade skiing, will have new and exciting terrain park features, learning center improvements, Wi-Fi on the mountain as well as several new LIVE webcams, and the final touches of a $1.7 million-dollar lodge renovation that was started last year. Also offering an enhanced shuttle schedule will provide convenience and a reduced carbon footprint for all guests. Mt Hood Meadows: launched “The Vista Experience” a pathway from the top of the Vista Express high-speed lift down to the complex of beginner terrain. 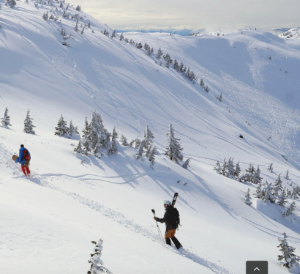 The experience is made possible by contouring the snow on advanced beginner terrain to make it easier for those just learning to ski and snowboard to access. The snowboard rental fleet has been replaced for 2018-2019 with new Rossignol snowboards and boots for adults and children. Mt Hood Skibowl: has added the “SnoFlake Machine”, an all-weather snowmaking system which allows snowmaking above freezing temperatures. The resort’s Westside parking lot has been expanded and widened increasing capacity by 150 parking spaces. Travel lanes are also larger making it much easier for guests to navigate in the parking lot. Timberline Lodge: R.L.K. and Company, Operator of Timberline Lodge and Ski Area, purchased the Summit Ski Area in Government Camp. Included in the sale is Snow Bunny, a snow play area and parking lot, approximately 1.5 miles east of Government Camp. 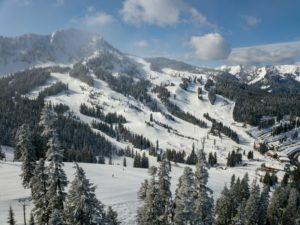 Crystal Mountain: was acquired by Alterra Mountain Company as of October 1st, 2018. Alterra owns 14 year-round mountain destinations throughout North America. Crystal Mountain Resort is available on the Ikon Pass for winter 2018/2019. During the summer snowmaking was added on Arwine’s, the Burn, Lower Bull, and Lower Deer Fly trails for a total of 16 more permanent Super Puma Fan Guns, 5 more hydrant, pedestals location bringing a total of 53 guns and 116 acres of snowmaking. Bluewood: is replacing the platter pull lift with two new conveyor lifts in the beginner area by the lodge. The new lifts will increase total rider capacity from 3,950 people per hour to 6,250. A yurt is being constructed at the top of Skyline Express which will offer a place on the mountain to rest and warm up between runs. Stevens Pass Mountain Resort: was purchased by Vail Resorts, Inc. (NYSE: MTN). Stevens Pass is the Company’s second resort in the Pacific Northwest and is part of Epic Pass with access to the twelve North American resorts of Vail Resorts. Mt Spokane Ski and Snowboard Park: new for this season is a new triple chairlift that will provide access to 279 acres of scenic terrain with 7 professionally designed trails on the backside of the mountain. The new guest service building will include the Mountain Sports School Learning Center providing a warming area for students, office space and room for 100+ instructors. On the bottom floor of this new building is a large shop area with mezzanine for the mountain operations department. A 110’ surface lift is being installed to take students up the beginner hill as well used to transport guests in the morning from the parking lot up to Lodge 2. The Summit at Snoqualmie: added new Silver Fir zone lighting providing night skiing operations on more terrain for night laps. During the summer extensive summer slope brush cutting to enable earlier trail openings. The bathrooms in the Alpental Lodge were renovated during the summer. 49 Degrees North: has expanded snowmaking to improve early and late season conditions. The expansion is part of a phased project that will see continued additional snowmaking improvement in future years. New haul rope for the West Basin Chair 4 Lift is 10,600 feet of 1 ¼” wire rope. The lift accesses Tamarack glades – Stockholder, Cy’s Glades, Bakken and others. Bogus Basin: spent $5.7 million installing a new automated snowmaking system providing top to bottom coverage on three of the area’s seven chairlifts. Installation of the brand new, fully automated system included construction of a 13-million-gallon snowmaking pond, and the acquisition of 24 fan guns. The snowmaking system was funded entirely by a community fundraising campaign that was conducted in 2017. Also new, a fleet of rental skis and snowboards and boots from Rossignol, new demo skis from Rossignol with Look bindings, new Volkl demo skis with Marker bindings, and new lease skis and boots from Rossignol. Lookout Pass: is starting a new learning program for children 4 to 6 years old, the Mini-Moose Program, an instructional program incorporating snow play. The program will be available on Weekends and Holidays and housed in a building located right behind the Chair #4 Success Beginner Lift. Eaglecrest Ski Area: substantial measures to improve snowmaking capabilities – a new pump house providing enough water pressure to make snow to the top of Hooter. As part of the expansion, the pump house will supply 2,400’ of pipeline, which will be installed in phases, to allow snowmaking across the lower mountain (Phase 1) and, eventually, over to the base of the Black Bear Chairlift (Phase 2). For additional information on these exciting developments in the mountains, please visit your favorite mountain’s website or call the resort directly. 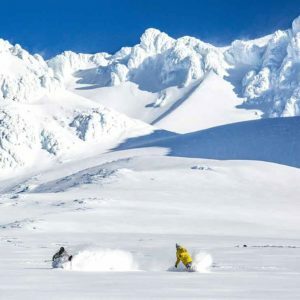 The Pacific Northwest Ski Areas Association is a non-profit trade association, which represents the interests of ski and snowboard facilities located in Oregon, Washington, Alaska, Idaho, Montana, and California. The Association’s 35 member ski areas – most of which operate on public land – collectively host an average of 5.6 million visits annually. For additional information on Pacific Northwest skiing and snowboarding, contact the PNSAA office at (877) 533-5520, or visithttp://www.pnsaa.orgto link to the website of your favorite mountain.